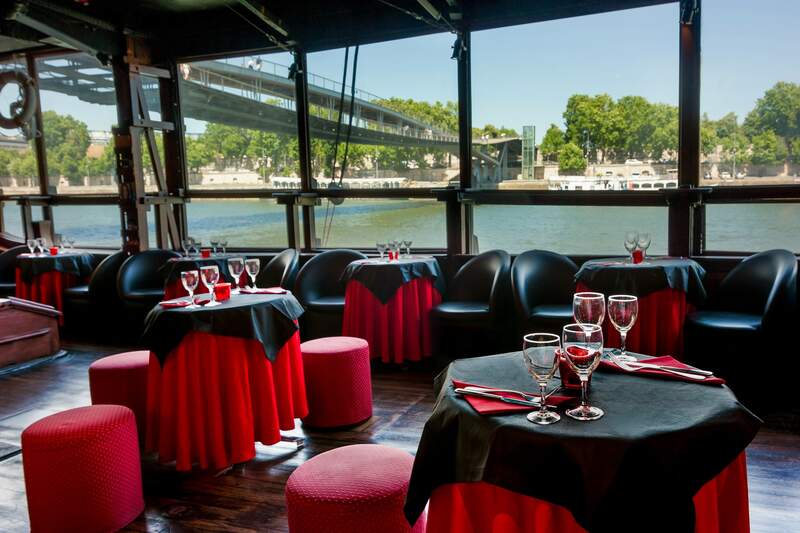 Open space area of 1507 squared feet in teak, a stage area, benches and chairs for public reception, fully equipped with licensed bar … and the breathtaking view of the Seine ! 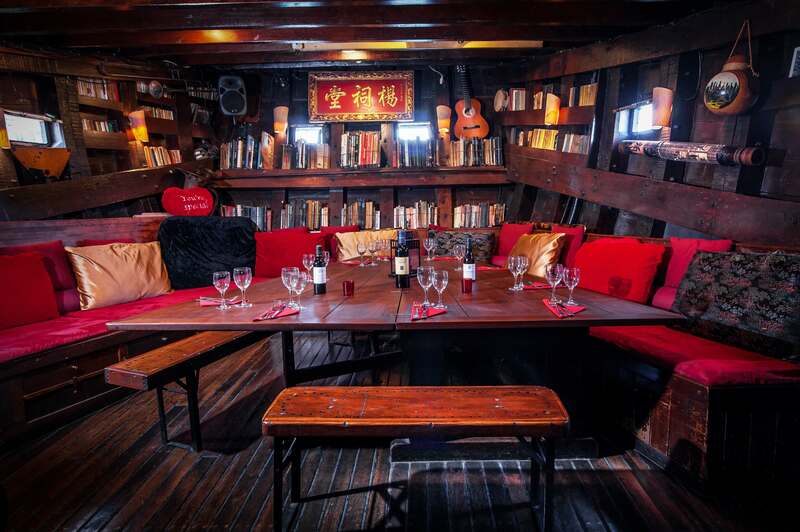 The heart of the ship is equipped with a table of 20 seats, a private bar, a plasma screen, a magnificent library of 500 books, travel items and a piano. It can accommodate groups for breakfast, lunch, dinner seated and further more at a standing buffet. 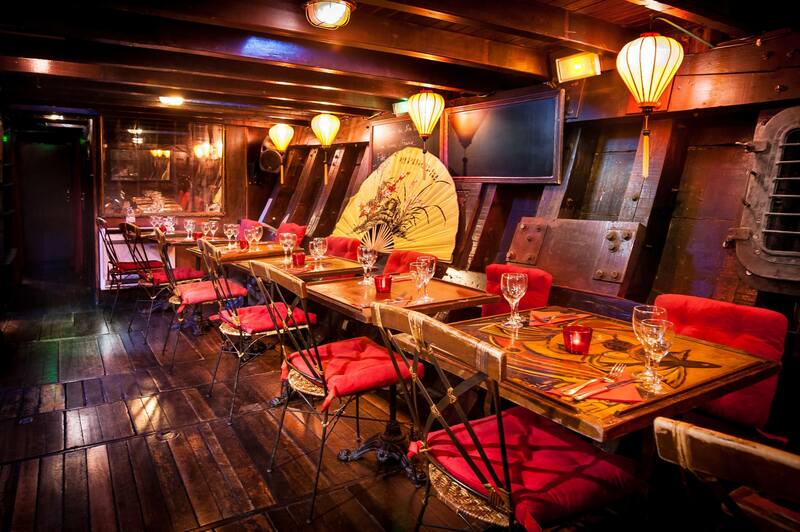 On board the junk, the space can be rented partially or totally for 20 to 150 people depending on your needs. The junk disposes of professional sound and light system, video projectors and plasma screens. Allowing you to enjoy the evening concert followed by additional late night DJ performances on Fridays and Saturdays. The upper space where the concert takes place remains open to the public. Breakfast, brunch, lunch, dinner, buffet (lunch or dinner) La Dame de Canton’s creative cuisine is a true festival of flavors taking you on a round the world trip through amazing dishes and subtle associations of sweet and savory.